Motivation. Entertain, teach, or differentiate. Know that you’re likely not going to get rich from writing. Go to Blogger if you want to really share in ad sales or affiliate marketing. Platform. You made the right choice with WordPress.com. The overwhelming bulk of information on the web is about WordPress.org, but those folks have to worry about the high cost and intensive knowledge of maintenance – all for the misguided impression of more control for the loss of easy sweeping changes to presentation as technology changes. Domain mapping. Spend the $13 per year to map whatever.wordpress.com to blog.yourdomain.com. It’s more professional and gives you a separate asset to experiment with new look and feel, while providing important search backlinks to your main website. Theme. The trend for this year is responsive where the layout automatically changes to the display size of a smartphone, tablet, or full screen monitor. Pick a responsive theme out of the 60 currently available – most are free. ICO. Be sure to create and upload a blog icon under Settings/General. Most people don’t understand that this graphic becomes the icon next to your blog name in a browser tab. Header. Definitely customize the header, as it is your first impression. Use a quality graphic related to your blog. Widgets. Use them and experiment. At the very least, you’ll want the Follow, Gravatar or About.me, and likely some custom images or text. Also, highlight your top posts to keep your readers hooked. Authorship. 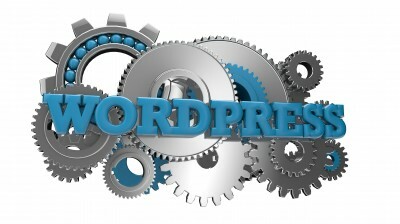 Protect what you write and build your credibility with WordPress.com Google Authorship. Contrary to popular belief, you can use your own e-mail address rather than a Gmail account for Google Plus. Gravatar. Spend a few minutes and fill out your Global Avatar by uploading a photo, adding verified social media services, and links to your website and other assets. Gravatars are shown on comments and may be used to jazz up your sidebar. About. “Tell them what they’ve won, Bob”. This is your second writing masterpiece for a polished image, where you add the authorship HTML. It’s about what you do for them in a short, more graphical presentation story. See the 10 Modern About Page Tips for ideas. Categories. These are your main topics for your blog and some of the first clues for reader expectations, not the search engine tags. There probably shouldn’t be more than a dozen or you should create another blog. If you want to write about anything and everything, start dabbling with Squidoo or HubPages. Social media. Start slow and actually learn the eventual handful that you’ll have for people to follow you. The concept is diversity to reach a broad audience and not put all your marketing eggs in one basket. Title. Do you have a great idea for a post? Then Google it. When you see multiple listings for your title, make a more compelling and unique title. Unless you have a different angle or something unique to offer versus the listed competition, you’re better off moving to another more original idea. Draft. Ideas can come from anywhere, but you can often draft off of daily experiences and current events. Keep a spreadsheet of good ideas to post later. Research. Check out your competition and read posts of interests from all kinds of services for counterpoint, unorthodox ideas, or examples of what not to do. Graphics. You must have a graphic for every post. Besides the eye candy for the reader, it’s the featured image when sharing for other social media and the thumbnail image when listing top or recent posts. Use your own original works and plan on spending $100 annually at Getty Images or one of the other myriad image sites. Brevity. There is no right or wrong, but shorter posts of 400 – 500 words aren’t as daunting for the reader and help keep your main concept more focused. In this case, it didn’t make sense to break into multiple part articles. If you’ve got that much to say, fire up Word and start that first chapter of the book. Formatting. People on the web don’t read, they skim. Bold, bullets or numbers, and occasional color gives a better impression for your audience. Generally, keep to four or five sentences for each paragraph break. Tags. This is where you can use synonyms or your keyword phrases for other ways people may find your content in search engines. A handful is plenty. More than a dozen is ridiculous. Media. Supporting video or podcasts move you to another planet for credibility. No one says it’s easy, but you’re in the show now. Link. Ditch the blog roll or use it for key links by keyword to your main site. Do link to other helpful blogs, but within a post and by their keywords. Weekly. That’s how often you should post to get enough content weight and regular activity for any kind of traffic. Quarterly is too far apart and monthly is a good start to get your feet wet. Publicize. In Settings/Sharing, have the sharing enabled so readers can re-share your post across various mediums. Also, connect your blog to other services like Twitter and LinkedIn, so new posts become status updates automatically. Do manual status updates to Google Plus, StumbeUpon, and Delicious. Publicize your blog to Technorati. Participate. You’re part of a community and while doing your research, you should like, comment, and follow other blogs. Those bloggers will reciprocate and help your traffic. Freshly Pressed. This is the holy grail of WordPress.com where the staff picks 10 new blog posts per day that get massive exposure. Educate, entertain, inspire, or just get us talking. Another great post thanks for the tips along with excellent go through.